Hoping to follow in the footsteps of fellow Grimsby cueists Mike Hallett, Dean Reynolds, Ray Edmonds and Sean Storey, Stuart Carrington first rose to prominence when he won the 2006 Junior Pot Black title, defeating Anthony McGill at the Crucible Theatre in the final. 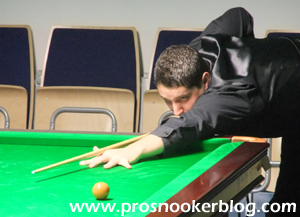 He came close to earning a place on the main tour back in 2009 as he finished second on the EASB Pro Ticket Tour list behind Jimmy Robertson but had to settle for another season on the PIOS where despite a run to quarter-finals of Event Six that year, he was unable to finish higher than 30th and so would remain among the amateur ranks for the following season. Following the introduction of the new Players Tour Championship events, amateur players now had the opportunity to play competitively against the very best on a regular basis and Stuart was one of the players to take advantage of this. Defeating the likes of Mark King, Robert Milkins, Martin Gould, Alan McManus and Adrian Gunnell throughout the course of the PTC events, Stuart certainly made an impression and despite an 8-2 defeat to John Whitty in the final of the Northern section of the English Amateur Championship, headed to the Q School as one to watch. While he could not progress from the first two events, he had managed to win two matches in each before falling to Chen Zhe and Simon Bedford at the third round stage. It was however all to come together in the third and final event as he overcame Nick Jennings, Justin Astley, Li Hang and Ian Burns to reach the final round before edging out fellow youngster Stephen Craigie to earn his tour card for 2011/12. 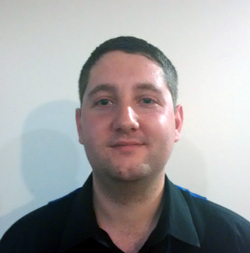 Stuart was to experience a difficult start to life as a professional in 2011/12, winning just one match during the 12-event PTC series (against Matthew Stevens at PTC6), while also struggling to record victories during the season’s full-ranking events. The turn of the year was to see no change in fortunes, though leading David Gilbert 6-2 during their match at the World Championship qualifiers, it looked as though a shock might be on the cards, before Gilbert recovered to win 10-7 on his way to the last 16 stage at the Crucible. Following his relegation from the tour, Stuart continued to gain experience on the circuit as an amateur, entering a series of European Tour events, his best run coming at ET5 as he defeated Michael Holt and Dechawat Poomjaeng to reach the last 32, before losing out to Kurt Maflin, who made a 147 during that match. It was not during the main events, but instead during the new ‘amateur only’ side-events where Carrington was to excel, earning enough points to qualify for the new EBSA play-offs at the end of the season. Once there, Stuart was able to defeat Jeff Cundy and Adam Wicheard in Sheffield, to earn a return to the pro circuit with a two-year tour card beginning in 2013/14. On his return to the main tour, Stuart was able to demonstrate significant improvement from his first spell, last 32 runs at the prestigious UK and International Championship events among the highlights, while he also defeated Andrew Norman, Jack Lisowski and Nigel Bond to reach the final qualifying round of the season-ending World Championship. Though he could not defeat experienced Welshman Ryan Day (ultimately losing 10-5), to earn a Crucible début, his performances at the three biggest ranking events saw him finish the season at a career-high ranking of 79th place. Stuart was to make a significant breakthrough at the end of the 2014/15 season as not only was he able to defeat Joel Walker, Peter Ebdon and Li Hang to qualify for the Crucible for the first time in his career, but in doing so he was also able to secure a place in the top 64 of the world rankings for the first time. This meant that not only would he retain his main tour place for the following season, but he would do so whilst retaining his prize money won to date, providing him with the opportunity to climb further up the rankings in 2015/16. Earlier in the season Stuart was also able to reach the last 16 of two European Tour events, as well as the final qualifying round of the Shanghai Masters.